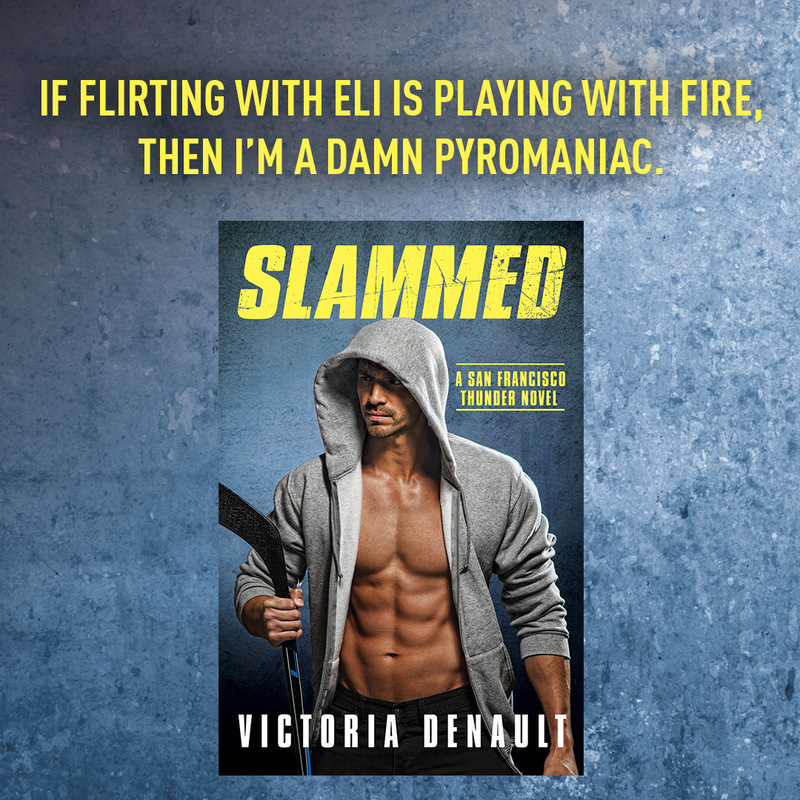 Eli Casco is on the brink of having everything he ever wanted. He's just been called up from the minor leagues to play goalie for the San Francisco Thunder hockey team. And he just had the most mind-blowing night with the woman of his dreams. But now that he'll be in the same town, she's completely shutting him down. Dixie Braddock loves her job as a publicist for the Thunder. But as much as she's always enjoyed doing the long-distance flirting thing with Eli, dating him now would ruin her hard-won reputation, just when she's up for promotion. He's the last distraction she needs on top of team shenanigans and an ailing father. But the more time they spend together, the harder it is to keep to her hands-off policy-especially when Eli is making all the right moves to play for keeps. 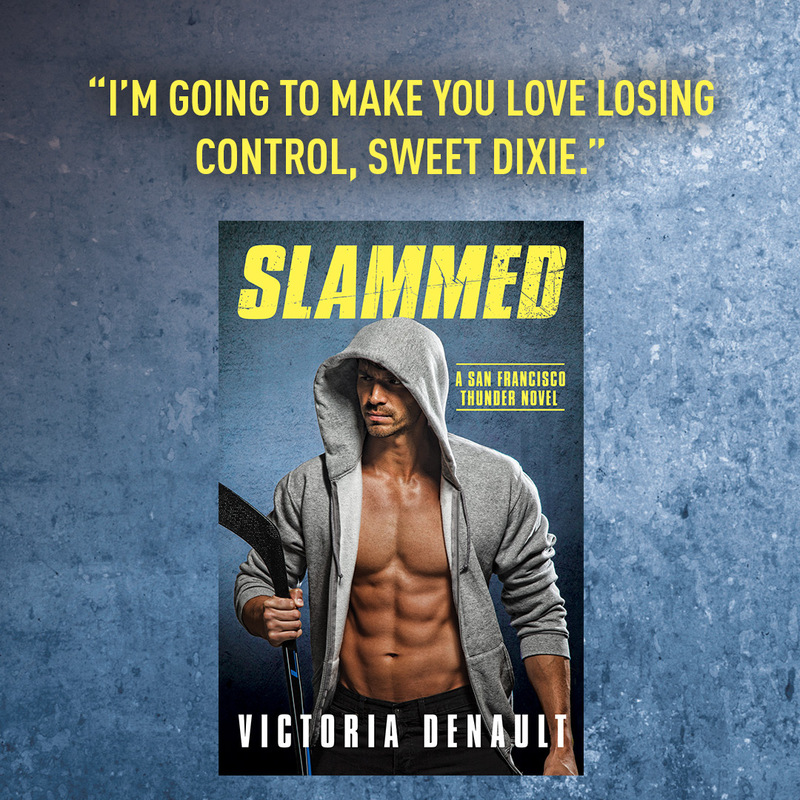 Find the San Francisco Thunder series on Goodreads. So we walk, on a Sunday night in the pouring rain, down the dark, almost abandoned streets. And somehow, for the first time in a very, very long time – since before my father’s diagnosis, since before my double life working in PR, since before I decided I had to be a glass-ceiling-busting corporate badass – I feel completely at peace. And maybe it’s the rain, maybe it’s the way the water is slipping down over my soaked hair and dripping into my ears and drowning my common sense or washing away my well-thought-out life goals, but all I want to do is kiss him. “Everything about us is reckless,” I remind him in a whisper. Victoria Denault loves long walks on the beach, cinnamon dolce lattes and writing angst-filled romance. She lives in L.A. but grew up in Montreal, which is why she is fluent in English, French, and hockey.